On the evening of April 14th 2014, Boko Haram gunmen stormed a boarding school in Chibok, abducting 276 Nigerian schoolgirls. Five years later, approximately half of the girls are still missing, while the rest have escaped or been released. CEO of Murtala Muhammed Foundation and Co-Founder of Bring Back Our Girls, Aisha Muhammed-Oyebode, reflects on the futures of the girls returned. Seeking freedom for Boko Haram’s captives is not enough. It is also necessary to interrogate the nature of the society that these hostages will be liberated into. Having been hurriedly and violently ushered into womanhood, it is important to examine upon their return the conventions; the cultural and cognitive structures that will both define and constrain their lives. The kidnapped girls have been returning home in an agonizingly intermittent and sporadic way. 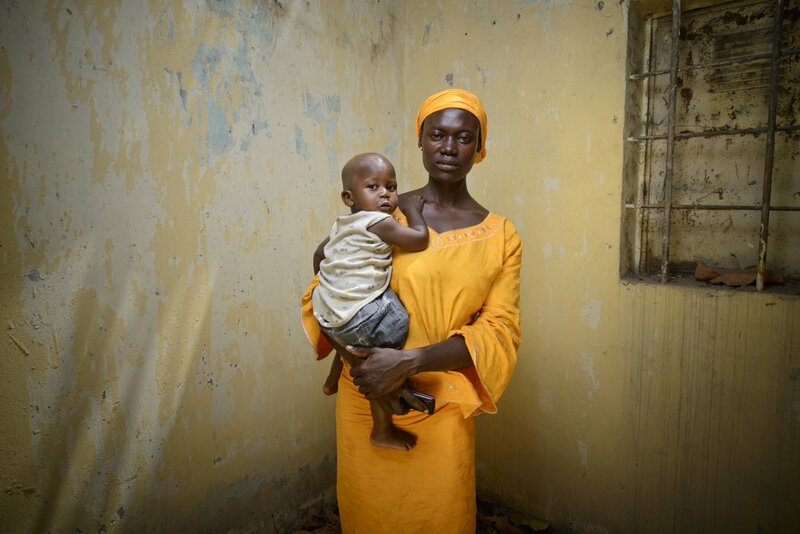 In May 2016, Amina Ali Nkeki, the first girl to be found and one of the youngest to be abducted, was discovered wandering in the forest with a four-month-old baby and the baby’s father - a Boko Haram fighter who was purportedly her husband. In October that year and May the following year, 21 and 82 of the girls were released after negotiations between the government and the terror group. For the Chibok girls, release from captivity marks only one phase of liberation. The emotional and psychological toll of their ordeal transcends the period they were held hostage. My experience as a co-founder of the Bring Back Our Girls movement has shown me that psychological trauma is such a complex phenomenon and we run the risk of re-traumatizing the victims of Boko Haram if we do not manage the trauma care properly. It is crucial that the rescued girls are supported both emotionally and physically so that they have a better chance of recovery in the long term. What they have gone through is unimaginable. Just a few years ago they were school girls with their whole lives in front of them. Today they have come back scarred, some with children of their own. The expectations of female virtue, especially the idealization of female chastity in their part of the world, create double jeopardy for the Chibok girls and other female abductees of Boko Haram. Those who are released must deal with the unavoidable stigma of and possible rejection from having "consorted” with terrorists while also grappling with their own emotional complexities occasioned among other factors by survivor’s guilt – the knowledge that some of their peers have died in captivity and others have been left behind to remain permanently in the condition from which they have escaped. The girls must, therefore, deal with their objectification first by the larger society as vessels of virtue now forever tainted by their captivity and by the terrorists who seized them as “spoils of war”. Many are further victimised because they have borne children. Such that, those mothers who manage to escape physical captivity never escape the captivity of stigmatisation and their children are ostracized for the “terrorist blood” carried in their veins. This pattern of name-calling and vilification is consonant with the sort of victim-shaming that accompanies sexual violence in our society. Which throws up a paradox. On one hand, we want the abduction of the girls to be inscribed in our nation’s memory as a tragic watershed and a signpost of our resolve to never let such an atrocity repeat itself. Elizabeth Abana. Her daughter Blessing was rescued from Boko Haram in October 2016. But considering the depth of the ordeal that the girls have undergone, and the possibility that old wounds could be reopened by their heedless public exposure, I find myself wondering if it would not be best for them that the nation forgets. Perhaps it would be best if the girls attain the sort of anonymity that would enable them to live out their lives on their own terms. Perhaps for all rescued girls to remain branded as the former captives of Boko Haram would in a sense surrender their identities to their kidnappers. Perhaps we need to remember the abductions and forget the abductees.